Single toiletry items or gift sets. The Animal House Rescue doesnt have a rescue centre, instead of using kennelling facilities we have a network of local foster carers. Our foster carers open up their hearts and homes to animals, that are homeless through no fault of their own. 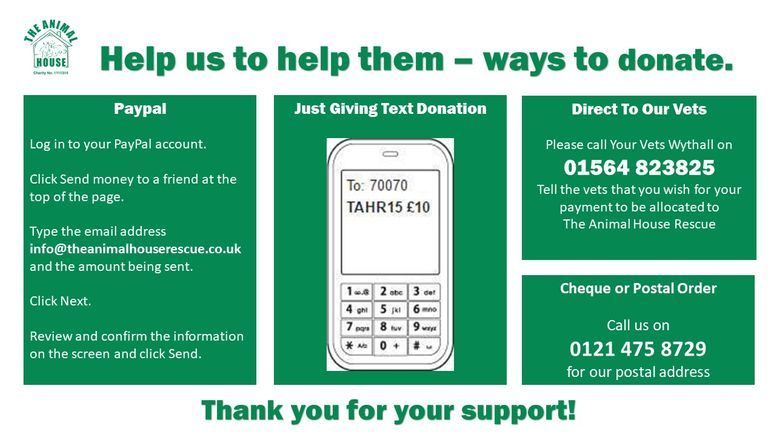 Without our foster homes we would not be able to help as many animals that we do.